Being the parent of a young child is filled with ups, downs and all over the place. Add in pea-sized amounts of toothpaste on a daily basis…and life is guaranteed to get messier. To restore some peace of mind (sorry this only applies to children’s oral health) Raynor Dental has compiled a list of helpful dental care tips for the parents of our youngest patients. Instilling good habits early in life is essential to help your child maintain proper oral hygiene, along with a healthy, beautiful smile long after the tooth fairy has come and gone. It’s our job at Raynor Dental to support you in this endeavor. 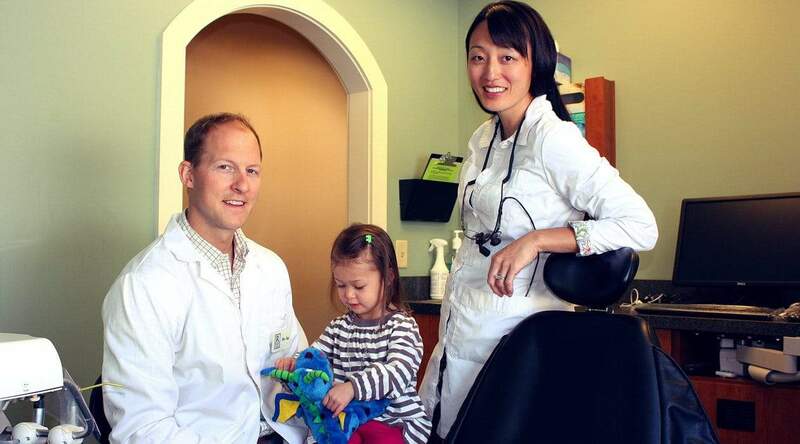 Q: When should I schedule my toddler’s 1st visit to Raynor Dental? RD: Baby teeth play an important role by providing the foundation for the proper development of the permanent teeth. That’s why the American Dental Association (ADA) recommends making an appointment as soon as your child’s first tooth appears, but no later than a child’s first birthday. 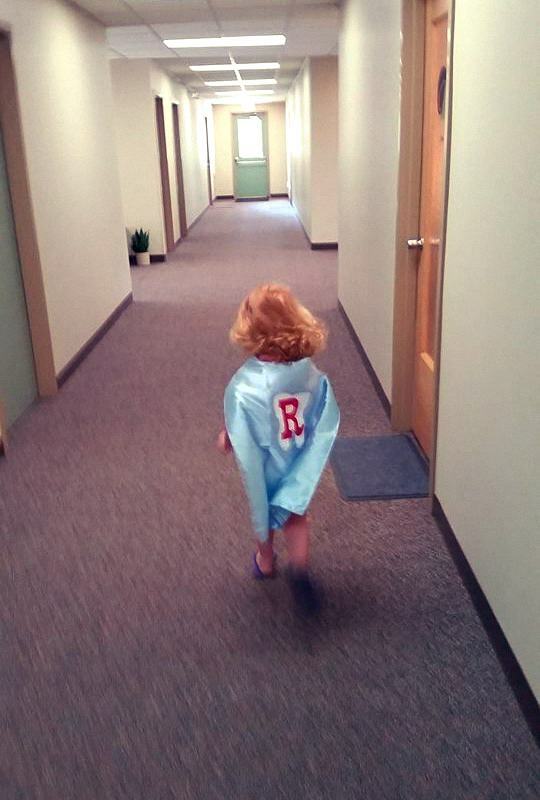 Q: Will you perform a comprehensive exam on my toddler? RD: For patients three and under, a highly trained hygienist along with Dr. Jay, Dr. Steph or Dr. Dan will perform a gentle exam and tooth count. Visits for our youngest patients are designed to help get them comfortable with our office, dental team, lights, equipment – and answer your questions. Q: Will I be allowed to stay in the room with my child during the appointment? RD: Yes. Many toddlers actually prefer to stay in their parent’s lap during their visit. But if they’d like to sit in the dentist chair – and take a trip up, down and back again – rides are always available (and encouraged). As they graduate to professional cleanings, preschool and early elementary children actually do much better in the chair when mom or dad isn’t in the room. Parents may, of course, choose to stay close by, but we’d recommend just outside the door, out of eyesight. Q: How long should my child brush their teeth? RD: Two minutes is the recommended duration. Of course this is an eternity for most kids. So staying near your child and monitoring their hand-brush coordination, and helping them stay focused is important. Q: Is it really OK to give fluoride toothpaste to my 2 year old? RD: Yes. But before introducing a children’s fluoride toothpaste to your toddler make sure they’ve been practicing the happy, messy art of spitting out toothpaste. Once they are in a regular habit of spitting into (or hopefully near) the sink, you know it’s OK to use that pea-sized amount of fluoride toothpaste under your caring supervision. Q: Should my toddler be flossing? RD: The answer is of course yes. But most children lack the coordination to brush and floss on their own until about the age of 6 or 7. So you can help by flossing your child’s teeth once a day as soon as two teeth emerge that touch. The use of floss sticks (or picks) instead of regular string floss is usually easier for both you and your child during these early years. Q: My toddler loves to brush but won’t let me help! Any suggestions? RD: Children love to imitate their parents. So if your toddler has started a mini oral health care rebellion try rearranging morning and evening routines by brushing teeth with your child, instead of simply for them. Exaggerate and slow your movements; open your mouth extra wide so they can mimic you in the mirror (or face to face). An older sibling can also be an incredible resource here for a younger child to mimic or follow. Once they’ve chomped and brushed a bit, gently explain it’s mom or dad’s turn. Compliment, smile and give extra praise while you brush their teeth. Don’t hesitate to introduce books, songs or a favorite teddy into the mix. Be patient, stay positive and most of all, keep it fun! Q: Should I be worried about my child sucking their thumb|finger|pacifier? RD: The sucking reflex is a normal and natural self soothing mechanism. However, if a sucking habit continues after permanent teeth start erupting (between age 4 and 7) it can cause problems with the growth of the mouth and jaw, and position of the teeth. The best way to deal with thumb or finger sucking is with positive reinforcement, not negative words or punishment. We’re happy to provide tips on how to gently help your child break this habit. Q: My child had an accident & a tooth got knocked out! What do I do? RD: If it’s a baby tooth: apply pressure to the gum to stop any bleeding. If your child seems OK, watch for signs of infection throughout the week, such as fever or swelling and tenderness, and call Raynor Dental immediately if you see anything unusual with your child’s gums or teeth. If it’s a permanent tooth: pick up the tooth by the crown (the chewing surface) not the root. Rinse it gently in water. Never scrub or dry it (this may remove important tissue fragments and roots). If possible insert it back in your child’s tooth socket and hold it there. Then call us immediately at 352-0006 to schedule an emergency appointment. If you can’t get the tooth back in your child’s mouth, put it in milk and take it with you. Not sure if it’s a baby tooth or a permanent tooth? Proceed as if it’s a permanent tooth, and call us just to be on the safe side. Please don’t hesitate to call 603-352-0006 with any additional questions, or to inquire about our full-range of pediatric dental services.